Our world is livable and more comfortable thanks to heating, ventilation, and air conditioning (HVAC). 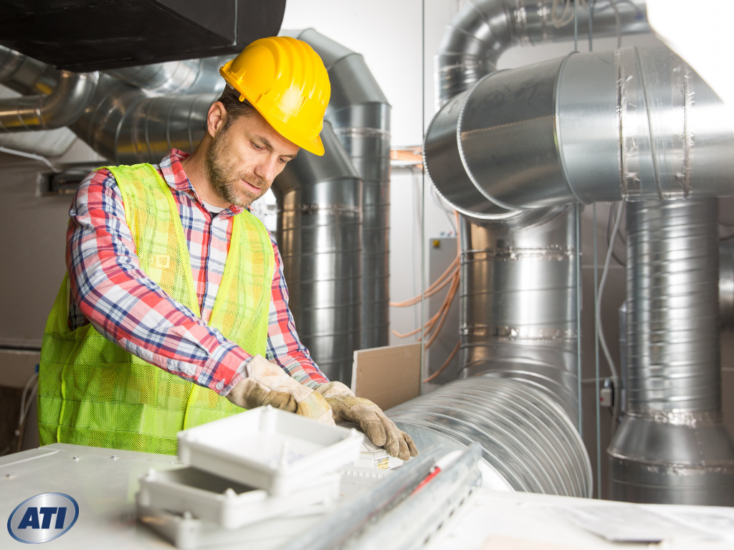 Because nearly every indoor space depends on HVAC systems to regulate temperature, cleanliness, and humidity of indoor air, HVAC specialists are much in demand. What does it take to become a trained HVAC technician? How book-smart do you need to be? How handy with your hands should you be to succeed in HVAC? People learn in different ways. Some people learn by interacting with other students; some learn by getting their hands on real pieces of technology; others learn best by listening to a professor or instructor. Many people interested in a respected trade like HVAC assume they can learn everything they need by just taking apart (and putting together) compressors, air handlers, heat pumps, furnaces and the like. In our age of computer-controlled devices, this is not true. Some theory is necessary. Some mathematical skills have to be applied to load calculations. Some book smarts will make the instruction more meaningful. Yet again, though, this does not mean every minute of a formal program of instruction puts you in a classroom at a student desk. An effective instructional strategy is to balance classroom time with hands-on lab time. Some basic mathematics skills are helpful in HVAC installation, repair, maintenance, and troubleshooting. A comfort with numbers is crucial, since HVAC depends on decimals, fractions, unit rates, and other applications of numeration. Knowing a little logic helps make sense of electrical circuits. The ability to complete simple algebraic equations helps, since the mathematics is directly tied to the science behind HVAC technology. Much of the HVAC industry is computer-controlled now. You will benefit from understanding the basics of computers, including things like logic circuits, simple computer programs, and input-output. HVAC technology stems from the sciences of thermodynamics and gas laws. Once you understand things like the Ideal Gas Law and the various Laws of Thermodynamics, you can see them operate every day in cooling systems and heating plants. Fortunately, these science ideas refine themselves into formulas that have been around for hundreds of years, so most instrumentation in HVAC has the laws factored in, making much of the work a matter of knowing what to input where. Still, you cannot approach a commercial cooling system worth $100,000 or more and think you will just “figure it out.” If you struggle with making sense of numbers, formulas and basic calculations, you will definitely be overwhelmed by the puzzle of a balky central air conditioner. If, though, you have a high school level of understanding most of the fundamentals of science and mathematics, the work needed to step up to HVAC will not be not beyond your abilities. Having a formal program of instruction also gives you access to caring instructors, study groups, and information resources you otherwise could not get. Learning is sequential, so one class builds on the knowledge gained in another. Take a course like HVA121, Introduction to Safety, Science and Principles of Air Conditioning. You take that first, to become familiar with concepts, before tackling something more narrow and difficult, like HVA230, Direct Digital Controls. Along the way, you learn how good HVAC technicians think, how they approach problems, and how they earn customer satisfaction. Advanced training in a good HVAC program puts you a step ahead of the competition. Using current diagnostic technology, correct tools, and modern shop equipment, you learn what today’s HVAC technicians are doing, not how it was “in the old days.” You can learn more in a few months of four-day-a-week courses than you could in several years of riding along in an HVAC service truck. Advanced training in technical servicing and service management allows you to step into an entry level career where all that formal training will immediately apply. You then can advance in your career, earning more money by passing industry certification exams. Anything worthwhile takes a bit of work. Earning an Associate in Occupational Science Degree in HVAC Technology takes work, but the rewards are many. 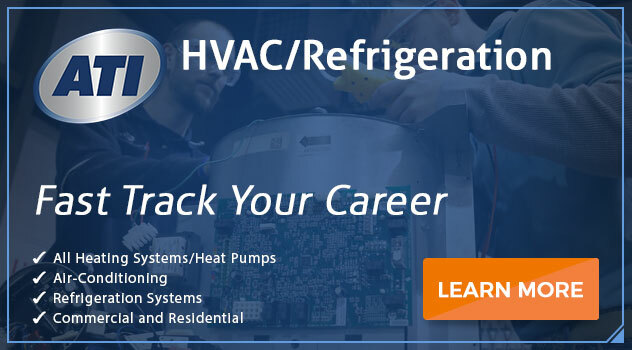 Keep your eye on the goal and you can emerge with a degree, a headful of knowledge, and a self-confidence to earn an entry-level job at a respected HVAC company. Please contact Advanced Technology Institute (ATI) today to see how a career in heating, ventilation and air conditioning could be on your horizon. Find out how an Associate in Occupational Science degree can unlock a stronger financial future for you. Previous PostWelding Schools in Virginia Beach: Do I Really Need to go to School? Next PostHow Long Does it Take to Become an HVAC Technician with a Formal Degree?